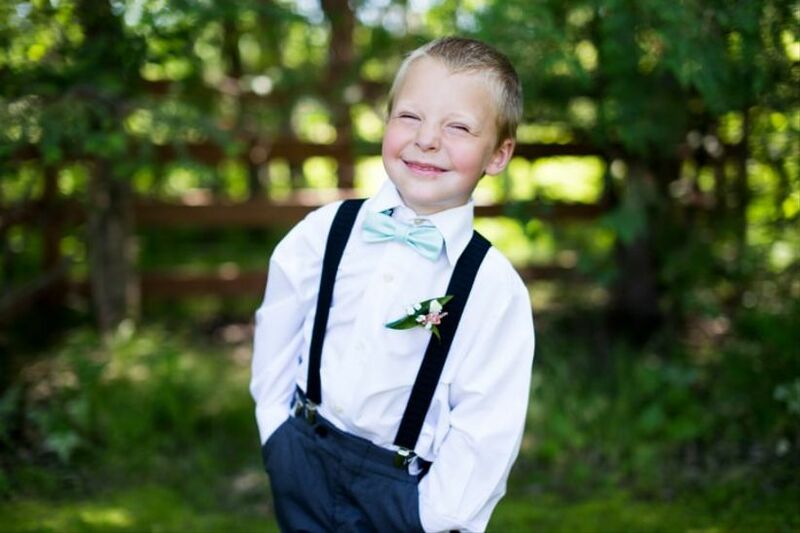 How to Choose Your Ring Bearer’s Outfit | Wedding Ideas ARE YOU A VENDOR? 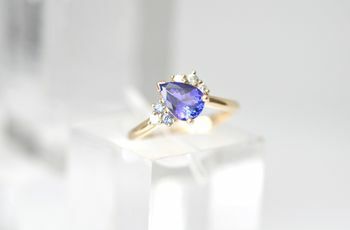 Trying to decide what your ring bearer should sport on your wedding day? Here are a few helpful tips to guide you. 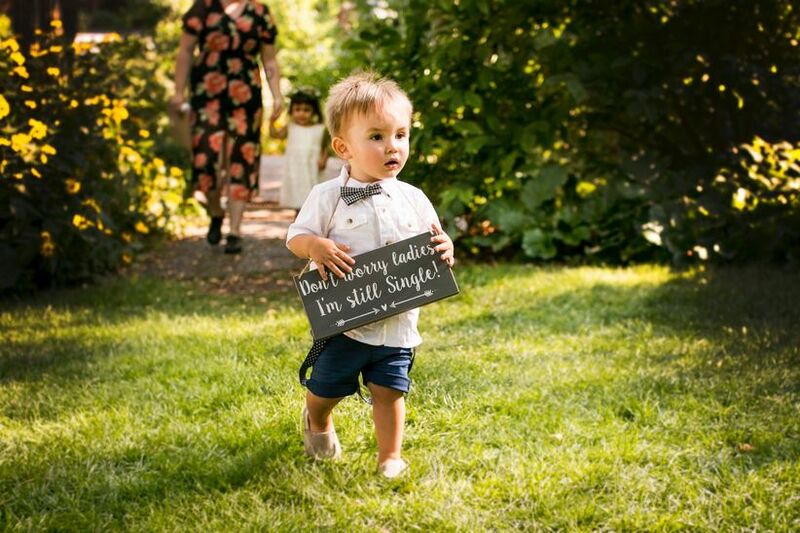 So, you’ve chosen the perfect tyke to task with job of ring bearer? That’s awesome, but you’re job isn’t finished yet! 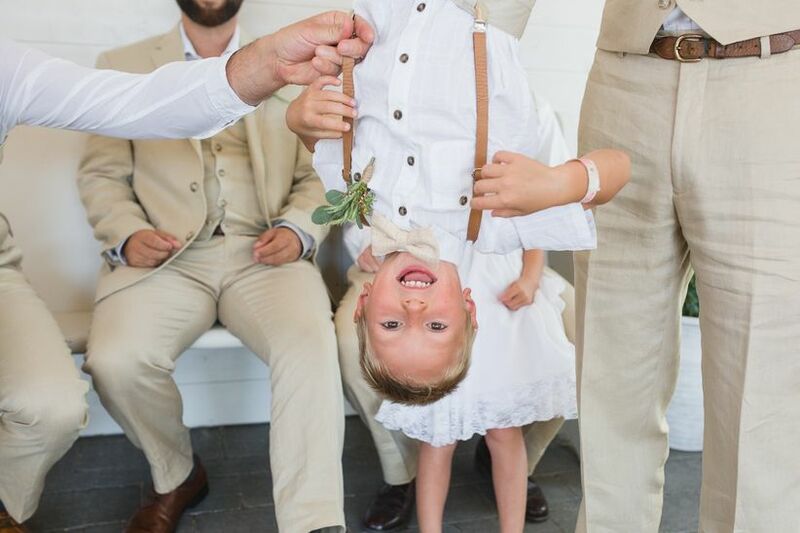 You’ve got to choose an adorable ring bearer outfit for him to sport on your big day. Yes, you want him to look like a million bucks, but there are a few other things you’ll need to take into consideration, too. We’ve laid it all out for you here to make shopping a little bit easier. 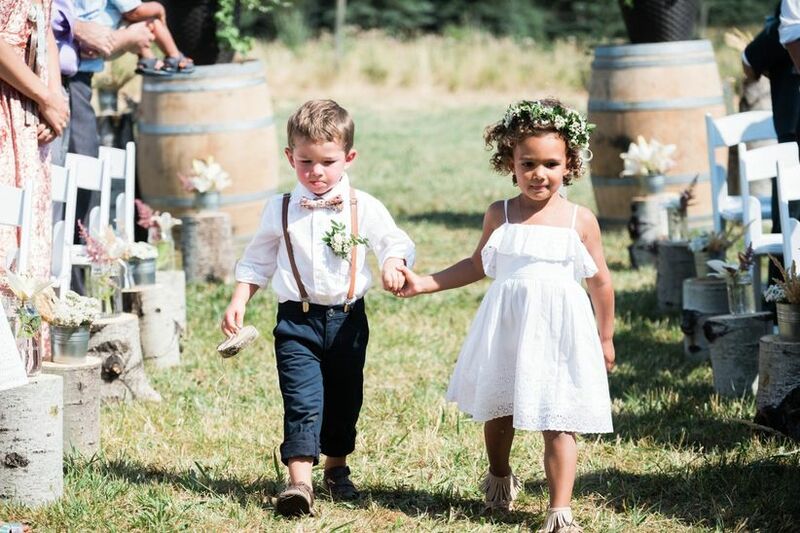 Here’s how to choose your ring bearer’s outfit. 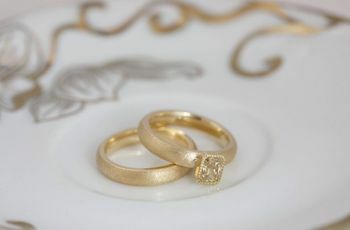 Your wedding theme probably informed most of your wedding planning decisions, from the style of your wedding cake to your venue. 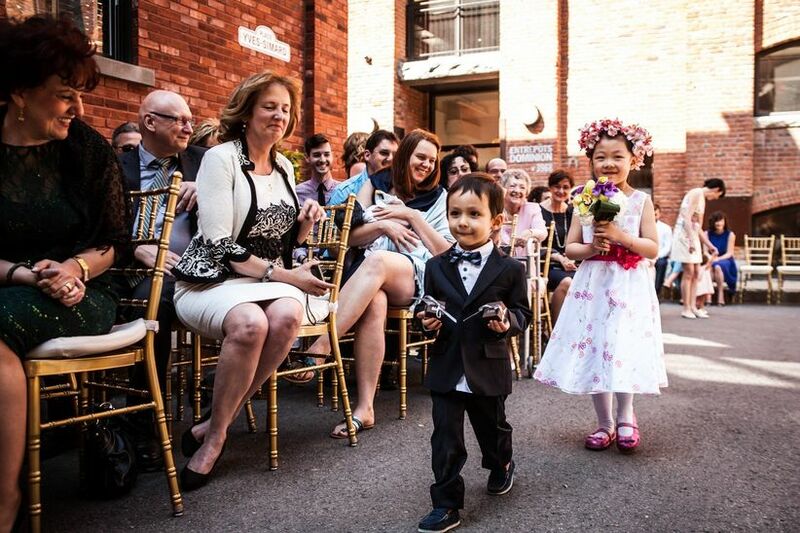 If you don’t know what type of ring bearer outfit to go for, let it inspire his look, too. For example, if you’re hosting a black tie affair, think about putting him in a classic tuxedo. Or maybe you’re doing a more relaxed celebration in a barn or backyard? An adorable flannel shirt with some cute jeans or trousers might work perfectly. You’ve probably carefully budgeted out every part of your wedding, and you shouldn’t drop the ball when it comes to a ring bearer outfit. Regardless of who’s paying (you or the parents), aim to keep costs as low as possible. If you’re really strapped for cash, we suggest opting for a rental instead of buying (remember, this is a look they’ll probably only wear once). Most kids care more about comfort than style, so make sure the look you choose isn’t itchy, starchy or stiff. You’ll want to bring them to try their ring bearer outfit on before purchasing so that they can let you know how they feel in it. 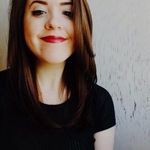 If they complain about being uncomfortable after a few seconds in the dressing room, they’ll probably be complaining for the duration of your ceremony and reception. P.S. you’ll also want to think about the weather - you don’t want them getting too hot or too cold (that’s just asking for a tantrum). 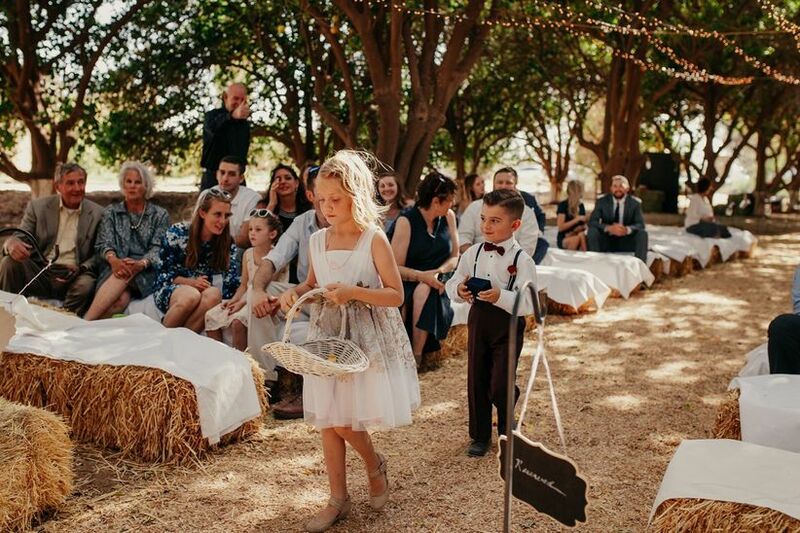 You probably don’t want to give a tyke the job of choosing his own wedding outfit - there’s a good chance that’ll result in a ring bearer dressed as Batman or some other costume - but you can totally give them a vote. 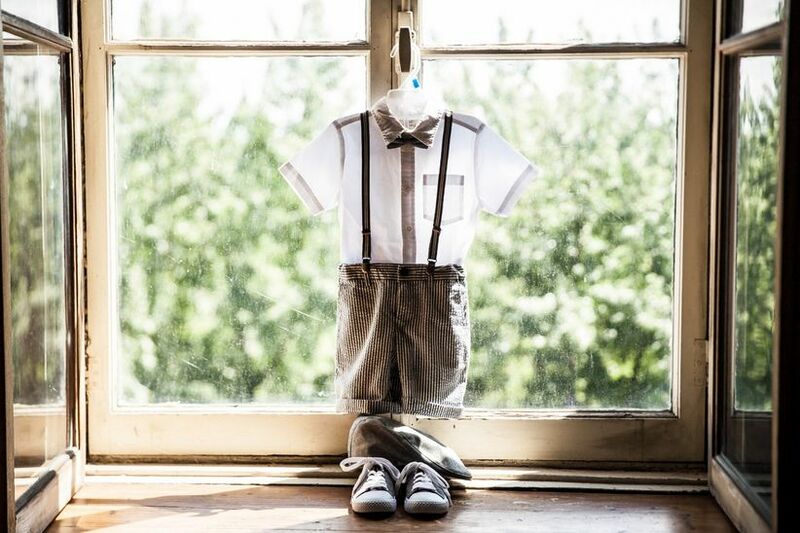 For example, if you can’t decide between a cute little tuxedo and a more relaxed look with suspenders and patterned trousers, let the little one pick between the two. Not only will this take the decision making off your plate, but it’ll make dressing them on the big day a heck of a lot easier for his parents. The little things can make a big difference! 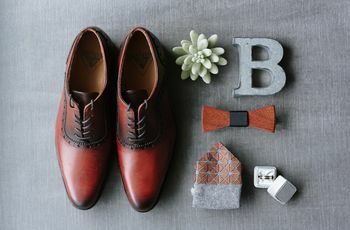 Details like a cute little baker boy cap, an adorable bow tie or a fun patterned pocket square will add a funky twist to an otherwise plain ensemble. Of course, if you’re aiming for a minimalist look, you can skip the extra bells and whistles (the best accessory is a smile, anyway!). 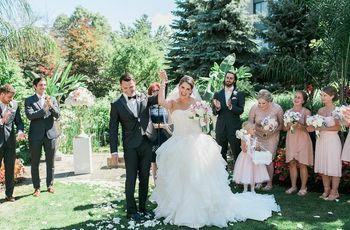 Everybody in the wedding party - you, the bridesmaids and the groomsmen - are probably sporting clothing in the same or similar shades, and so should your ring bearer. If you don’t want to go for a bright coloured shirt, trousers or suit, add pops of colour with the pocket square, tie and other accessories.